Added a review of the "Microsoft Visio 2013 Business Process Diagramming and Validation" book by David J Parker. Added some details on LogicNP Crypto Obfuscator. We are continuing to work on our Signal to Connector Contact Program (SCCAP) and have added some updated details and screen shots. 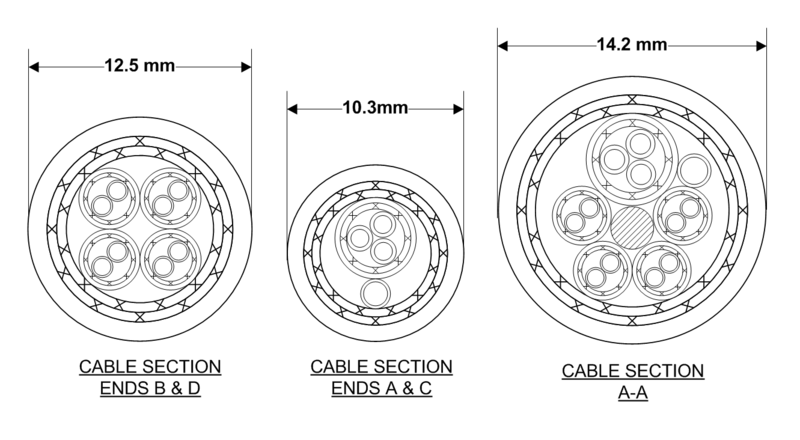 Added topics on the electrical interconnect design process and our approach to CAE system design. Also added a word cloud to the 'site map' page and quick response code to the 'contact us' page. Added some notes on the "Cambridge Phenomenon" – the transformation of Cambridge from a UK University town into one of the world's high technology centres within a few years in the late 1970s and early 1980s. ADE was formed in 1978 as part of the "Cambridge Phenomenon"
Added details on our work with Camsoft and Trace Technologies/Fibre Trace, updated the information on our work with Engineering Data Management and added some notes on the challenges and opportunties presented by parallel programming. A complete update and refresh of the web site style. Our previous web site design had lasted 10 years but was beginning to look rather dated. Our first customer demonstration of the electrical signal to connector contact assignment program we are currently developing. HarnWare V6 was released this week. Click here for the HarnWare V6 brochure (a 2.7Mbyte Adobe Acrobat pdf file opens in a new window). 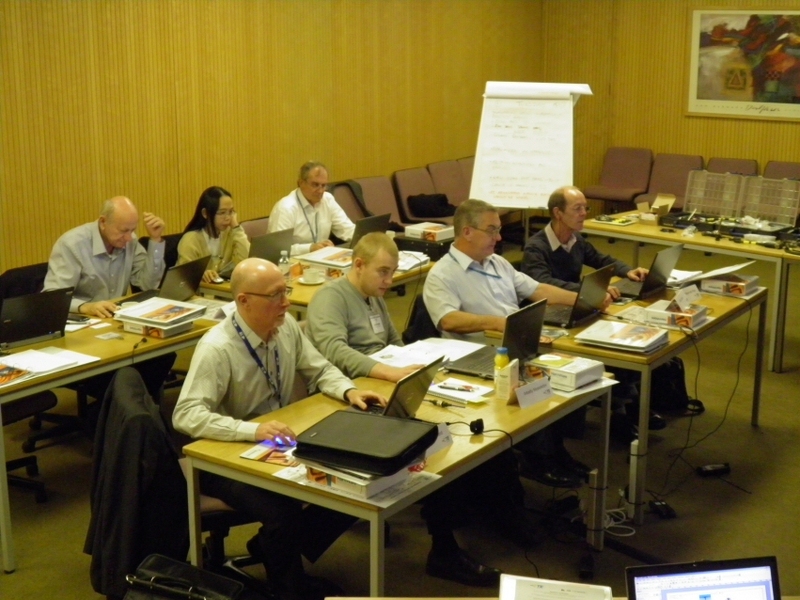 Paul Newman of Tyco Electronics launched the new version with a one week seminar for lead HarnWare users from the six countries with the most users. Click here for a photograph of the seminar attendees hard at work (a 1.1Mbyte JPEG file opens in a new window). Trials of the HarnConnect system we are designing and developing for Tyco Electronics started at a large UK company. Added notes for Roger's presentation to the Next Generation User Group (NxtgenUG) on starting and running a software company. Added some details of SpaceClaim which is a system that appears to represent a significant step forward in the 3D CAD world, especially in terms of ease of use. Added details of Ken Wallington who has now joined ADE and details of the 3D IGES file export option which we recently developed for HarnVis, one of the systems we develop and support for TE Connectivity/Tyco Electronics. Removed the Search page and updated the two OpenHSF pages sample HSF file 1 and sample HSF file 2. This date was the 30th anniversary of the formation of ADE Ltd. We celebrated the occasion with lunch and a beer at David's local pub. 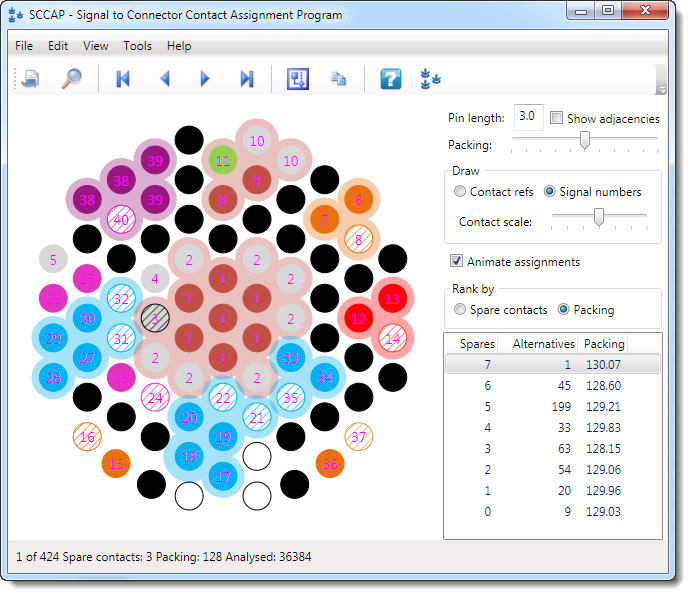 This is a screen shot of the signal to connector contact program we are currently developing. 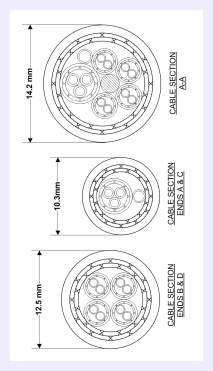 Four connector planforms selected and drawn by HarnWare.